Variety is the spice of life. Color is one major way of providing that variety. This is particularly true when speaking of home décor. 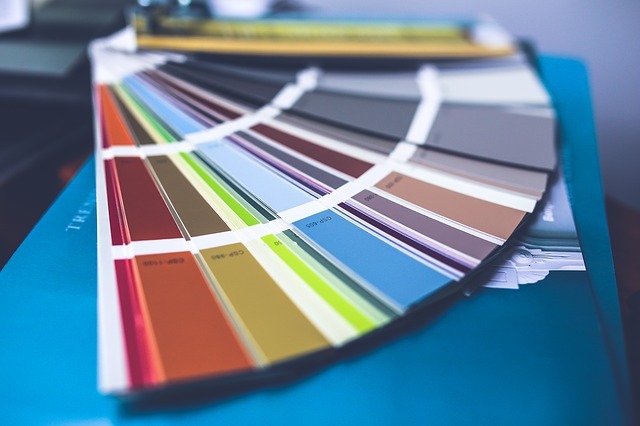 It’s true that many homes are staged with neutral wall colors, like white or earth tones. But there are ways to provide some variety in your home, according to your personal taste. Much research has been done on the impact of color in our lives, particularly our moods. The way you decorate your home shows reflections of a mood you create in each room. So we’ll connect the dots in this article, and show the role of color in decorating. This category is about energy. The wall colors in particular can evoke an energetic feel. Take the color red, for example. Walking into a room with a bold red color might feel similar to downing an energy drink. If you have a room where you’ll be entertaining, maybe the kitchen and you want to create a mood where people will engage each other, a deep red would be a good choice in this room. Food for thought: Because it’s such a strong color, avoid putting it in a room where the mood is supposed to be relaxing. If you’re looking for a relaxing mood in your room, a passive color is the way to go. For example, softer, warmer shades of blue are used to speak “calm” to the beholder. Recommended for bedrooms and bathrooms, blue is sure to provide that desired relaxing mood. This is where the flexible colors come in. You have black, white, gray and brown, along with their variations. Whites, grays and browns are typically used when staging a home for sale. They can, however, be accented by using accessories with bold colors. That way they don’t seems so plain. Black is a different animal. Unless you’re into gothic décor, this color is mostly not used as a full wall color. It is mainly used as an accent color. According to some experts, black can tie together your color choices for a room. In these few examples, we might not have covered your own personal taste. For that reason, here are some other color examples, and the moods they exude. See if any of these come close to what you like. Yellow – this color is generally considered a “happy” color when used in a smaller area like a hallway. However, as a main room color – strangely enough – it can have the opposite effect. Studies have revealed that a person can feel frustration or anger in a yellow room. Green – a combination of blue and yellow, green possesses a little of both worlds, encouraging a lower level of energy, while bringing comfort and warmth at the same time. Purple – while not usually used as a primary color, purple in different shades can bring on different moods. The darker shades bring an air of luxury as well as creativity. Lighter shades, like lavender are more restful. With rugs, you can add a pop of color, while also achieving certain functions. A long, narrow rug can be used as a runner near the front door, and the right color choice here can actually add an accent. If you want to unify your furniture at a focal point, arrange the pieces on a larger area rug. You may look at decorating differently after reading this, but we hope you found, at the minimum, one good idea to apply to your home décor.